- All of Austria's ski areas open again, as snow stabilizes. - Ski resorts in Eastern US close temporarily as windchill gets to -50C! - Biggest snowfalls since the start of the season in the Pyrenees. - All Scottish Highland ski areas now have beginner slopes open, two with longer runs. - Big snowfalls in Bulgaria (and increased Avalanche Risk). The focus has - at last - switched away from the Alps after a snowy three weeks. Heavy snow in the Pyrenees tops Europe's snowfall total for the past seven days, and there have been some big accumulations in North America, on both coasts, too. There's also been snow in the Dolomites, Bulgaria, Scandinavia and the south-east corner of the Alps around Carinthia in Austria which rather missed out as metres of snow fell in the north and west of the country from Christmas to January 15th. Where those huge snowfalls did occur, things have been gradually been returning to something like normal – albeit with the snow lying 3-6 metres deep. Access road and rail lines have re-opened, pretty much all closed ski areas have re-opened and most now have all, or nearly all, of their lifts running. The avalanche danger across the Alps has dropped from the Levels 4 and 5 (The highest) of recent weeks to a widespread Level 2 (moderate) although it is still 3 (considerable) in some areas including northwest Switzerland, and Level 4 (High) in parts of Bulgaria. As always... check your local conditions on the day! Current cold temperatures should ease back to seasonal averages by the start of next week, across most of The Alps. Conditions will be generally settled albeit with scattered snow showers likely across a wide area. Individual falls will freshen conditions rather than deliver huge amounts, although some parts of the French and Swiss Alps may see accumulations total around half a metre over the next week. It seemed like it would never end but there is now a lull in the snowfall in Austria and all of the country's ski areas including the high glaciers that had been closed for several weeks in some cases, are reported to have re-opened. A large number of ski areas across much of Austria received many metres of snow between Christmas and mid-January so it's no surprise that bases in the country are now among the deepest in the world with the Arlberg Region posting one of the deepest of all at 4.9 metres (over 16 feet). Badgastein has a 300-420cm base and at the recently re-opened Kaunertal glacier, the snow is lying 4.9 metres deep up top. Conditions have improved across France over the past week. The French Pyrenees saw the heaviest snow at the start of the week but there have been continued snow showers in the Alps too and these look set to become more frequent in the run-up to the weekend, adding between 10 and 30cm to snow depths. There was more fresh snow up to last weekend which has added around 20-25% to snow depths across the country with the deepest now reported in the grand massif area at Samoens at nearly 2.5 metres. But most of the country's leading ski areas have healthy snow depths from top to bottom and currently fresh snow cover too. Italy has continued to enjoy a fairly peaceful winter without the weather extremes that have impacted further north. So there are no big snowfall or snow depth numbers again this week, but most of the country's ski runs are open none-the-less. There has been some new snow in the Dolomites, freshening up cover there with 20-30cm snowfalls reported, although bases still remain well below the metre mark in most areas, 30-60cm in the Fassa Valley for example. Some fresh snow in the Alps to the west too before the weekend. There's little sign of any major change on the horizon with mostly small snowfalls totalling 5-20cm of snow over the coming week for more resorts. A largely dry week in Switzerland too with what snow there has been in recent days falling predominantly in the West of the country, and then just adding up to a few centimetres. There's been little snow at all in the East of the country, where the snow is now lying up to 6m (20 feet) deep at Andermatt, the deepest in the world. As with Austrian terrain that was closed, and road and rail links that were blocked - it is now almost all open again and skiers are enjoying the great snow. 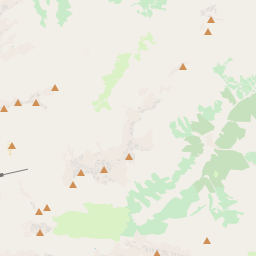 The avalanche risk has also dropped from level 5 in places at this time a week ago to Level 2 across most of the country (3 in the Northwest at time of writing). The week ahead looks fairly settled too with the likelihood of a wave of fresh snowfall beginning towards the end of the weekend, although so far that's again not looking like it will add more than 10-20cm to slope depths. After a snowy end to last week in Scandinavia, this week has been more dry and cold across much of the region with Arctic air dominating and temperatures often reaching double digits below zero. Conditions are pretty good in most areas with the focus soon to be on the Alpine Skiing World Championships at Are which has been given the green light in the past week by the FIS with the courses good to go. Stranda in Norway has the deepest base in the region at 1.5m but most areas have all their runs open on much thinner (but normal in Scandinavia) bases. A welcome snowy week in Andorra after a fairly dry few months, although ski areas in the principality have been keen to stress that snow cover has remained good with most terrain open, thanks to snow left from Autumn snowfalls and snow-making top-ups. There's been plenty of fresh snow on the French and Spanish sides of the mountains too and indeed Spanish areas may get a metre of snow by the weekend. Sunday / Monday and Tuesday/Wednesday saw big snowfalls with more expected Friday/Saturday and in total between 30-40 and 1.2 metres of snow is expected to have accumulated by the end of this week, depending on the ski area. 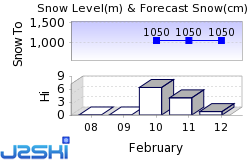 This will take snow depth beyond the metre mark on upper slopes at some areas. Almost all lists are now operating in Andorra and nearly all runs are open. All five of Scotland's commercial ski fields have managed to open some terrain this week – with the first full-length runs opening this week in addition to the small areas for beginner skiing. Arctic air is bringing cold temperatures and some natural snowfall allowing Glencoe to open the first full runs in the country this winter and Nevis Range to offer ski touring on its upper mountain and open a few groomed runs on Wednesday. Otherwise, Nevis Range offers beginner lessons on its snow-covered plastic slope at the top of the gondolas; Glenshee has made an area at its base using natural and machine-made snow and the other three centres are using all-weather and regular snow-making. It's hoped that more Scottish centres will be able to open lengthier runs before long for non-beginner skiers. Changing patterns in Eastern Europe too where countries like Poland and Slovakia that got big snowfalls with the Eastern Alps from Christmas to mid-January now seeing less fresh snow but Slovenia in the south-east getting much needed fresh snow there. Bulgaria has been having a very snowy time of it though, with heavy snowfall almost doubling base depths towards the 2 metre mark in the past week or so and forecasts projecting another metre or more of snow as conditions look to be staying very wintry for the week ahead. Canada has seen small to moderate snowfalls on the Western side this week and larger accumulations in Quebec on the East. Tremblant now has 255cm up top and Whistler 10cm more, though little fresh compared to its bumper December tallies. The week ahead looks similar with no big accumulations forecast and indeed most areas unlikely to see more than 10cm of fresh snow. Some real extremes of weather in the US this week with some areas in New York state closing because it was too cold to operate safely (wind chill below -50C) and in Utah, massive snowfalls cut off some resorts. It has indeed been very snowy on both East and West Coasts with resorts in Vermont reporting up to two feet of fresh snow and in Utah as much as 1.2 metres in the past week, with some particularly heavy falls at the start of this week. There's been snow in much of the rest of the US too, just not quite so much. Eyeball update from Flaine. Started snowing around noon yesterday. Still snowing now (9am Thursday). Will check depths later but must have had quite a few cms. bedrock barney wrote: Eyeball update from Flaine. 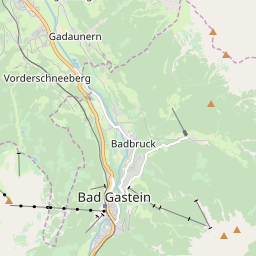 Ski Hire Shops in Bad Gastein, St. Anton am Arlberg, Lech, St Christoph am Arlberg, Zürs and Stuben.